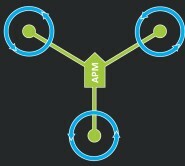 Arducopter is an easy to use multirotor / helicopter UAV. Arducopter runs on the ArduPilot/Pixhawk autopilot. 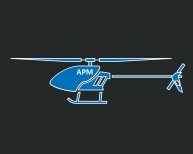 With GPS, this APM/pixhawk is a complete UAV solution that sets it apart from traditional multirotors which often only support remote control. The Arducopter system features fully autonomous way-point based flight, with mission planning and real time telemetry via the powerful ground control station. High quality autolevel and auto altitude control – fly level and straight. 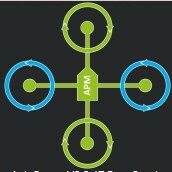 Or fly the awesome "simple flight" mode, which makes ArduCopter one of the easiest multicopter to fly. Don't worry about keeping an eye on your multicopter's orientation--let the computer figure it out! You just push the stick the way you want to go, and the autopilot figures out what that means for whatever orientation the copter is in, using its onboard magnetometer. "Front", "back"...who cares? Just fly! No programming required. Just use an easy-to-use desktop utility to load the software with one click and set up ArduCopter with quick visual displays, a point-and-click mission planner and a full ground station option (see below). Unlimited GPS waypoints. 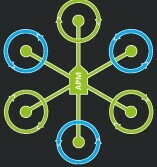 Just point and click waypoints in the Mission Planner, and ArduCopter will fly itself to them. No distance limits! You can script entire missions, including camera control! "Loiter" anywhere. Just flip the toggle switch and your copter will hold its position using its GPS and altitude sensors. Return to launch. 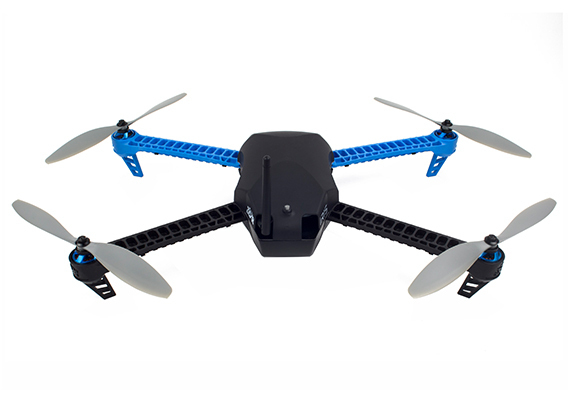 Set home to any location and flip a switch to have ArduCopter fly back automatically. Do all mission planning via a two-way wireless connection option. Waypoints, mode changing, even changing the gains of every control parameter can be done from your laptop, even while the copter is in the air! Automatic takeoff and landing. Just flick a switch and watch ArduCopter execute its mission completely autonomously, returning home to land by itself in front of you when it's done. What about ArduPilot Mega Planes? Arducopter code is capable of controlling all of the major rotor wing airframes, including Traditional Helicopters, Tricopter(3/Y6), Quadrotor (X/+), Hexa(X/+), and Octa(X/+/V). All you need to do is change the firmware and some parameters on your ArduPilot Mega board.